Welcome to the world of racing games! Crazy about driving in top gear and want to leave the world behind you? Then you are at right place following your instincts. We are the largest collection of free online games and our bucket contains the most exciting and challenging games for you. Whether you are bored, alone or looking to kill time, we have a series of cool games that prove themselves your best companion. Don’t look others who are catching time with speed, be the part of it. Take control of the virtual car and drive it in your way. Of course! It’s your entire place and your own style. Crazy car racing game is really cool to engage you for hours and we are sure that once you start playing this game, you will get lost in levels and astonishing speed. We love your speedy passion that’s why we made it accessible for everyone and everywhere. Car racing games for kids. Age never stops you from experiencing adventures. Early you start believing in “accept no limits”, you get more access to your life. We have online free racing game for kids and a lot more to explore. Crazy car game is easy to play racing game for kids and it is the amazing way to boost up their concentration.You can use your desktop, laptop or mobile to access free car race online, crazy car racing, car racing games for girls, crazy racing games, car racing games for kids. How to play free car racing game online? In the crazy racing car game, you will see a car that is running on the city road. To play this game, you need to save your car from other vehicles coming your way. All you need to collect coins and jump to escape the Collision. Try to collect coins as much as you can to score high. As level increases, the speed of a car and difficulty increases that’s more attention is required to save the car. The game ends when the car collides with any vehicle. How to play a racing game on the desktop? To play car game in the computer, you only need to access the website on any browser (Internet Explorer, Mozilla, Google Chrome) and click on Games section. How to play racing games on Android/iPhone? To play car racing game on mobile, you should have either an Android or iOS smartphone. You can download the free Meramaal application from ITunes. There are lots of car racing games on the internet. They require you to download or purchase their game. 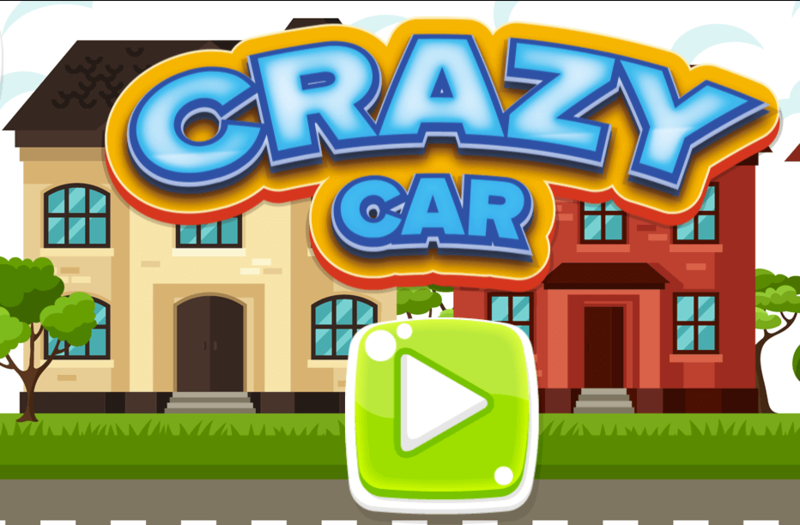 To enhance your love for driving games, Crazy car game is available absolutely free with instant access on our website. Also, no registration or login is required to play the game. Racing car game is designed for all age whether you are a kid or an adult. It just drives your craze for speed. User Interface of the game is simple, unique and really nice that gives you more control over your drive. Of course, driving games stimulate brain function that benefits in many ways. It doesn’t require any local memory storage that’s why you can play your driving passion anywhere any device. Just access our website or application to be the part of most exciting and funny driving games online. Our car racing game is a very light weighted game that loads in seconds. Whatever is the reason behind your love for car racing game, Meramaal caters to what you require to grab the speed. You can access an online racing game anywhere to play for free on your computer and smartphone. Along with it, you will get best in class games from all top categories like puzzle games, girls games, shooting games, picture games, kids games and many more in the row. Just bring in your mood and our online games will convert your enthusiasm into the high score that will always motivate you to grab more.